Elizabeth Gourlay’s paintings are gradual and progressive meditations on color and form. Her shapes and lines create a distinct vocabulary of abstract marks. The work resonates with inner emotional states, elements of feelings or subconscious thoughts combined with conscious thought about color, form and geometric structure. Shifting bars, lines and blocks of color around the picture plane are analogous to moving musical notes and chords around the score. Gourlay earned her MFA at Yale University School of Art and her BA from Edinburgh College of Art. 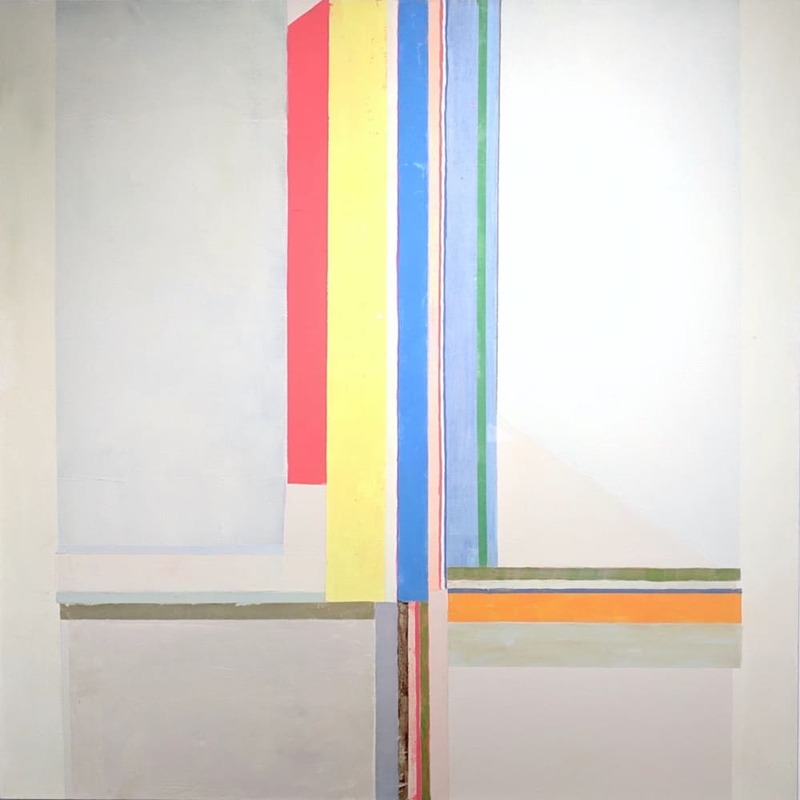 Her work has been shown extensively throughout the United States and she is the recipient of numerous residencies, fellowships and awards including Artist in Residence at the studio of Sol LeWitt in Spoleto, Italy. Gourlay’s work has been written about in The New Criterion, Painters’ Table, and Gorky’s Granddaughter to name a few.